5.) [+108][-13] Here we go again with people assuming things about 'Inkigayo' and YG...all the music stations have their own standards on scoring...Blackpink got the full score for their YT views with 3500 points, there's not much of a difference between their digital scores and the reason that there was a bit of a difference during yesterday's 'Music Core' is because they combine digital and physical scores. 2.) [+321][-24] Congrats Blackpink!!! SNS scores make up a greater percentage for 'Inkigayo'. I hope they continue to break YT records!!! 3.) [+300][-26] I support Blackpink x Mamamoo interaction! 2.) [+1854][-246] Congrats on your win!! Proud of them!! 4.) [+1575][-223] Blackpink, congrats on your win and good work to everyone else! 10.) 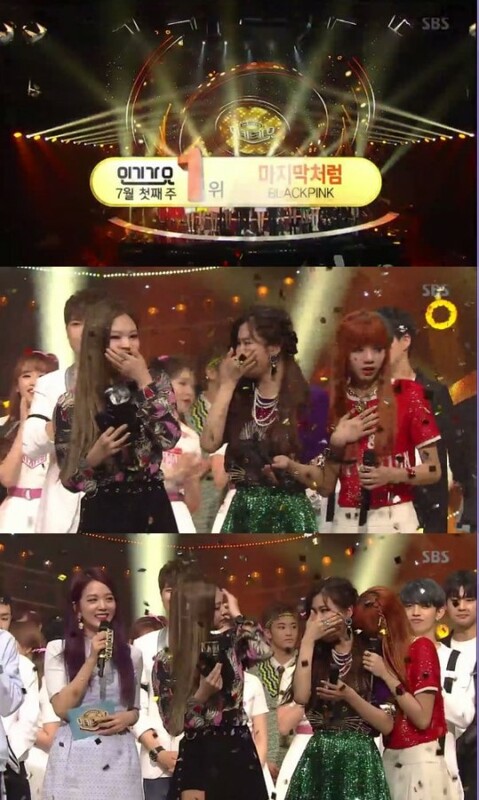 [+281][-31] Mamamoo was really sweet, trying to cheer up Blackpink when they were crying ㅠㅠ Mamamoo and Blackpink, both groups do well!! 18.) [+265][-42] 'As if it's your last' first win!! !